What else should I be aware of with braces? Step 1. Combine the quinoa, feta, egg, carrot, pine nuts, breadcrumbs, spinach, mint, sultanas, Moroccan seasoning, honey and lemon rind in a bowl. Season. Step 2. Grease six egg rings and a large frying pan. Heat pan over medium-low heat. Place egg rings in pan. Divide half the quinoa mixture between egg rings. Cook for 3-4 minutes each side or until golden. Remove quinoa cakes from egg rings. Cover to keep warm. Repeat to make 12 cakes. Step 3. 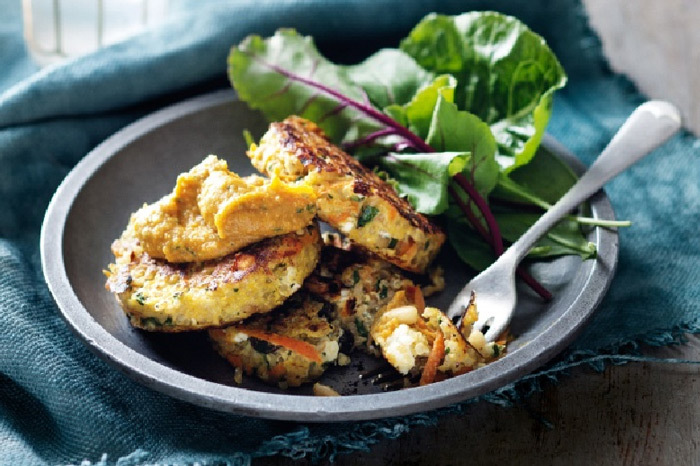 Serve the quinoa cakes with pumpkin dip.